Iran’s Foreign Ministry has expressed regret over the anti-Iran accusations made in parts of the final communiqué of the 39th session of the Persian Gulf Cooperation Council in Riyadh, saying that the GCC’s approach towards Tehran is still unconstructive. “Unfortunately, the Persian Gulf Cooperation Council seems to be influenced by the wrong and destructive policies and behaviours of some of its member states. The council has turned into a platform for expressing positions that are in line with the past miscalculations and wrong policies,” the Ministry’s Spokesman Bahram Qassemi said in a statement on Monday. The Persian Gulf Cooperation Council can resolve misunderstandings and internal and external disputes by taking a logical approach independent of its capacity, noted Qassemi. “However, it not only has not taken such an approach, but also shamefully praises the divisive policies of some transnational countries,” he noted. “In practice, the Persian Gulf Cooperation Council has turned into a front for proclaiming the policies of a few of its members, and takes stances at the expense and in the name of all members, which do not help regional peace and stability in any way,” he added. Iran believes that the positions expressed in the final communiqué of the Riyadh summit do not necessarily reflect the stance of all its members, he said. Qassemi said Saudi Arabia’s failure to achieve its goals at the summit can be seen in the contradiction between the text of the Council’s final communiqué and the practical approach of some of its members towards Iran. Qassemi further lauded the mostly benevolent stances held by the Emir of Kuwait in recent years, including at the recent Riyadh Summit, saying that his approach has been aimed at resolving and reducing disputes through inter-regional mechanisms. If all GCC leaders practically adopt such an approach instead of the recent baseless statements by the secretariat of the Council, it would be less costly for the peoples of the region, and could make it easier to achieve peace and stability, he added. 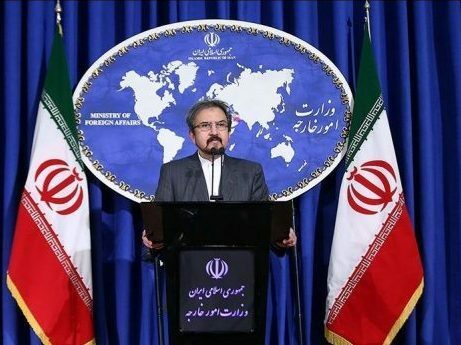 Qassemi also referred to the issue of the three Iranian islands in the Persian Gulf, saying that the repetition of groundless claims about the trio islands of Iran will not change the historical and geographical realities of the region. “The three islands are and will remain inseparable parts of the Iranian territory,” he emphasized. The 39th session of the GCC summit was held recently in Riyadh. At the end of the summit, the Council issued a final communiqué called ‘Riyadh Declaration’, which included seven points including matters related to the Persian Gulf countries, the region and the world. The summit came to an end without any major breakthroughs to resolve diplomatic crisis that continues to grip the region. He stressed the importance of the council and the need to “defend, in collaboration with partners, security and stability in the [Persian] Gulf”. Saudi Arabia, Kuwait, Bahrain, Qatar, Oman, and the UAE gather every year to discuss cooperation and regional affairs.